At Bay Bloor Optometry, we offer the full spectrum of eye care to patients of all ages: vision tests, geriatric exams, hard to fit contact lens fittings, custom eyeglass fitting, moisture shields for dry eye patients, corrective laser eye surgery, immediate attention for eye emergencies, and so much more. 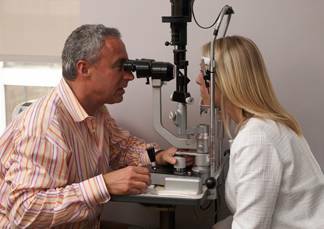 The eye doctors in our optometry practice in Yorkville, Toronto offer thorough eye care to a diverse clientele with specialist support for a wide array of issues such as macular degeneration, dry eye, diabetic retinopathy, glaucoma, and cataracts. Bay Bloor Optometry offers emergency services for patients (existing and new) that require immediate and urgent eye care. Please check our business hours or contact us.